Backrest and knee rest positions obtained by Smooth Crank System with foldable handles. ABS Moulded Head and Foot Boards . Product Size : 200 L x 90 W x 56 H cms. 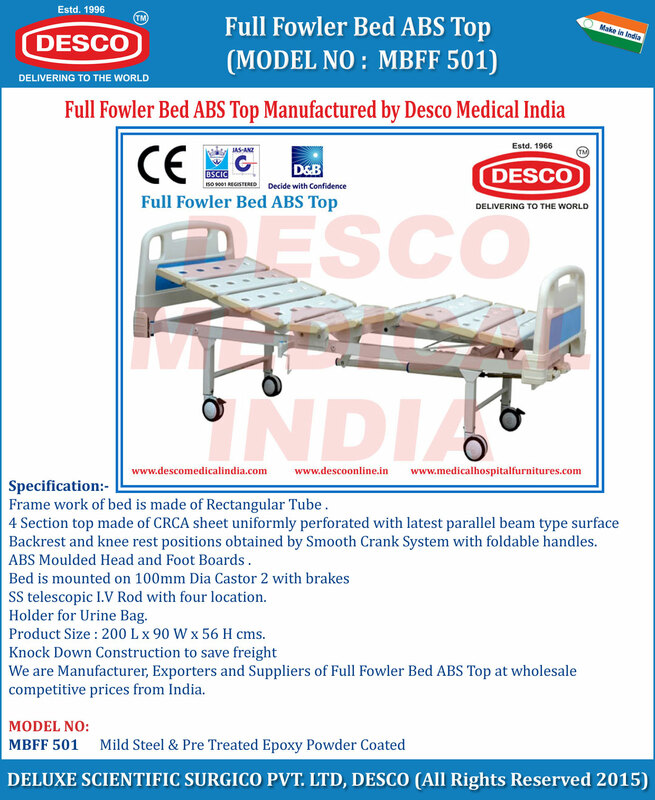 We are Manufacturer, Exporters and Suppliers of Full Fowler Bed ABS Top at wholesale competitive prices from India.